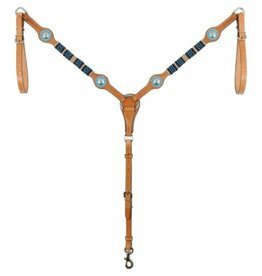 Elegant yet affordable, this colourful series features Turquoise and Navy beading with Rawhide accents and Turquoise coloured conchos. 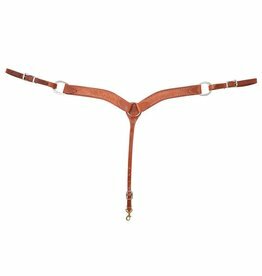 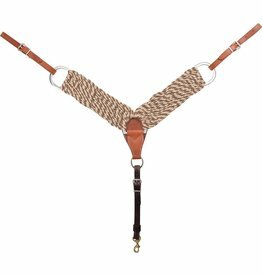 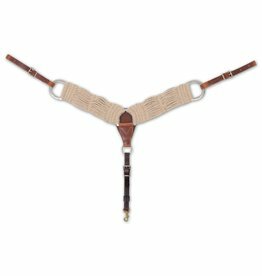 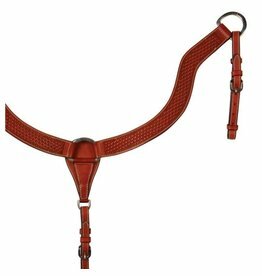 Double and stitched harness leather breastcollar with Stainless Steel hardware and contrast stitching. 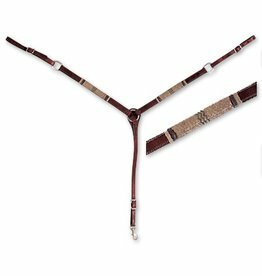 Traditional with a classic basketweave tooling pattern. 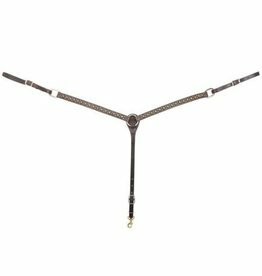 An all-round breastcollar that is flashy enough for the show ring, and hardy enough for everyday use.